On April 1st. 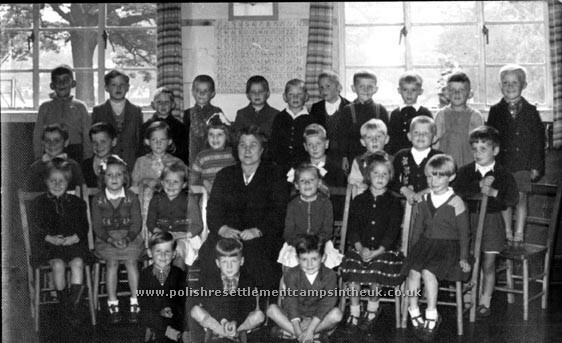 1947 the Committee for the Education of Poles in Great Britain was born, it's task was the administration of Polish education at all levels in Great Britain. 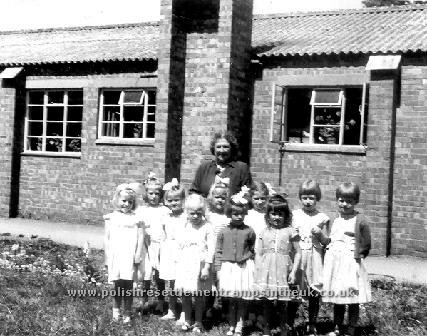 By 1949 there were 16 nursery schools and 34 primary schools with over 2000 children that resided in National Assistance Board camps/hostels scattered through out the UK. The Committee also concerned itself with adult education teaching English language to all in the camps who wished to learn. In Northwick Park Mr. Lewicki, who was fluent in English, led classes for adults and although it was difficult for people in their 40s and above to grasp the language most able bodied people attended and in time learned enough to get by. At the age of five, with a handful of older children, I was sent to the local village school 2 miles away in Blockley. To get to school we had to go through fields of grazing cows on the Northwick Estate and, being youngest, I could not keep up with the other children as we ran across the fields, sometimes followed by the inquisitive cows. The first few weeks at school was not a happy time for a five year old that was suddenly thrown into a strange environment, not speaking or understanding the language, but as children we coped much better than the adults and within a few months we picked up enough English to get by. 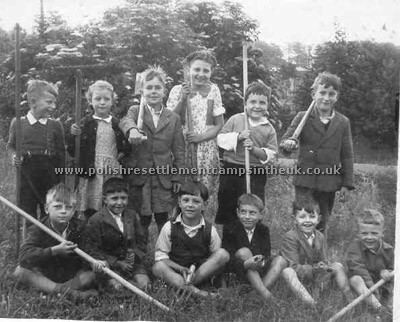 Within those few months a Polish Junior school was opened in the nearby camp of Spring Hill Lodges and so we were taken out of Blockley and sent to the Polish school in Spring Hill. Children, Parents, Teachers and Fr. Serafin Potoczny OFM outside the Polish school in Springhill around 1950. Some of the known names in no particular order. Back Row. Unknown, Zosia Hartman , Zdzich and Krysia Selwa, Romek Górdak, Kazik Żukowski. Sitting L-R, Unknown, Dziunek Kiczma, Janek Szyszkiewicz, Stach Rakowski, Stach Bytnar, Boguś Poważa. 1950. 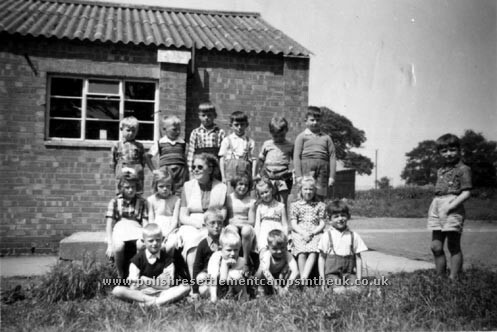 The Polish School moved to Northwick Park from Spring Hill about 1951/ 1952 All the children from Spring Hill Camp were bussed to school to Northwick by a local bus company "George Rouse" from Blockley. Mrs. Dąbrowska outside the school. Click for the full list. .
Mrs. Dąbrowska insid the school. 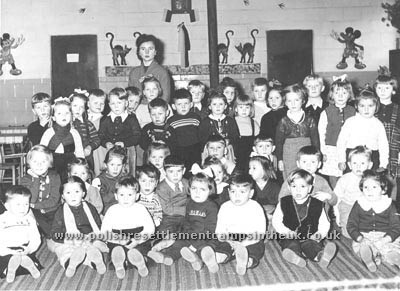 1954 Polish infant school in Northwick Park around 1956. The teacher's name Mrs.Świdwińska. 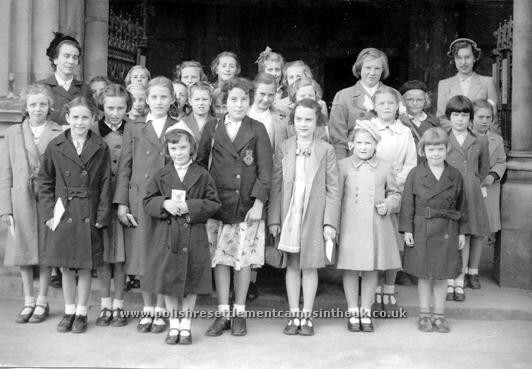 Junior School in Northwick Park with the headmaster Mr Karol Kubica, around 1956. Not all the children went to school in the camp. 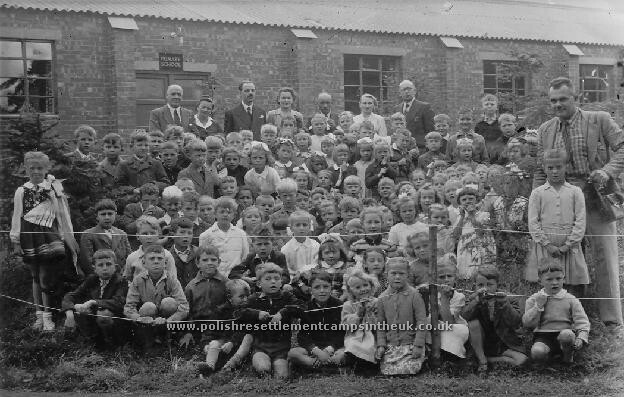 Some were sent to local English schools, "Blockley Junior" and "Chipping Camden Catholic School", but most of them attended the school in the camp. In the mid fifties when I became a teenager our generation was sent to a local secondary school. The clever ones went to the grammar school in Chipping Camden. 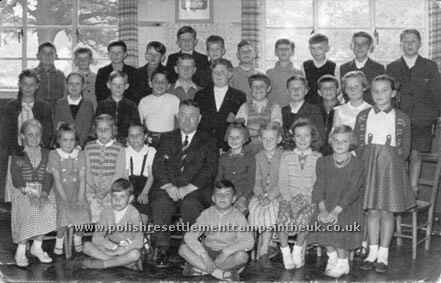 The rest attended Moreton in the Marsh Secondary Modern school and unlike today when we go to so much trouble to foster a multicultural society, speaking Polish at school was strictly forbidden and punished. As Moreton was about five miles away we had buses taking us there. At one time there were nearly two bus loads of pupils being picked up outside camp gate 1. On the left Mrs. D. Yoxall with some of the children from Blockley school. Agnes Gibson, Janice Ashcroft, Linda Tailor, Sheila Arosmith, Ann Beats, Margaret Milton Dorothy Hughes, Stella Kay, Jean Cocksall, Zosia Hartman, Hazel? Marian? Just some of the names if you recognise any one else pleases let me know. 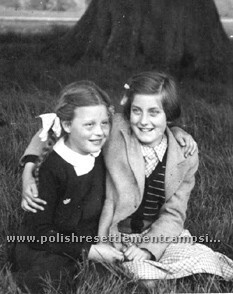 Some Polish children from Northwick and Springhill camps attended the school. Can you see yourself? World War 2 interrupted higher education for thousands of displaced teenagers and young people. 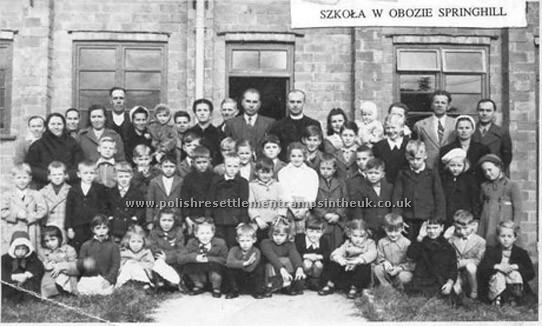 In Britain the Polish Government in Exile set up boarding schools, also run by the Committee for the Education of Poles in Great Britain, for those that missed out. These were set up in disused camps around the U.K. and all teenagers and young adults were sent away to these schools to learn English and catch up on their education, returning to their families for Easter, Christmas and summer holidays. There was also a Polish boarding school, Shephalbury Mansion nr. Stevenage for children orphaned by the war and those who's parents were unable to look after them through ill health. There were also two fee paying boarding schools one for girls in Pitsford Northamptonshire run by the Polish order of the Holy Family of Nazareth and one for boys Fawley Court Henley on Themes run by the Marian Fathers. The poles in Great Britain were successful in establishing four Polish faculties at British universities: medicine at Edinburgh in 1941, architecture at Liverpool in 1942, veterinary studies at Edinburgh in 1943 and law at Balliol College Oxford in1944. 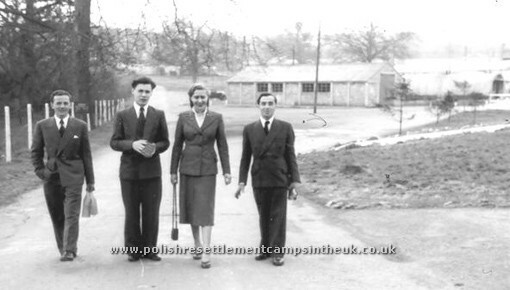 On the 30th of September 1954, having achieved the task for which they were appointed on April 1st 1947 by the Minister of Education under the Polish Resettlement Act of 1947, the Committee for the Education of Poles in Great Britain laid down the responsibilities that had been entrusted to them.